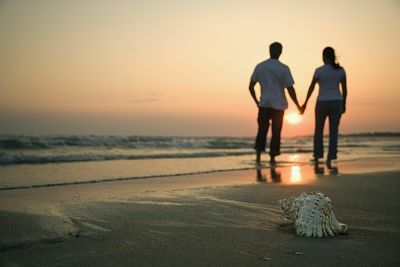 The Babymoon Blog provides information about the latest babymoon vacation offerings at leading resorts, inns and spas. Use the "Destination" button at the top of this page to search for your perfect babymoon getaway. To subscribe to the Babymoon Blog (no e-mail address necessary), just click on the 'RSS' button ( ) at the top right of this page or any other page on our site. We look forward to keeping you updated with all our Babymoon news! Continue reading "Alabama Babymoons and Alabama Getaways"
We're sometimes asked if high altitude destinations are safe for a babymoon break. 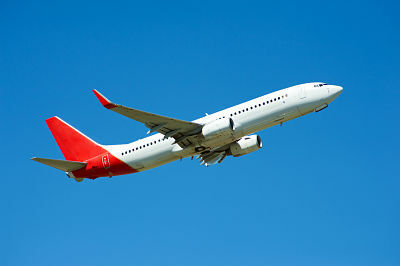 This article looks at the risks that traveling to a high altitude may pose. Continue reading "Pregnancy and High Altitude - What are the Risks?" Is it safe to use a sauna or hot tub when pregnant? Can you enjoy a massage? Learn more about the do's and dont's when visiting a spa during pregnancy. 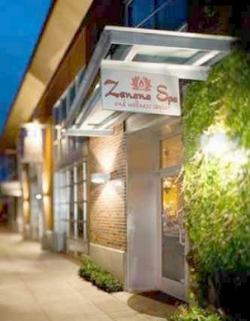 Continue reading "Visiting a Spa When Pregnant - What's Safe and What's Not!" Find the best New York babymoons and romantic getaways, with packages available from New York City to scenic upstate resorts. 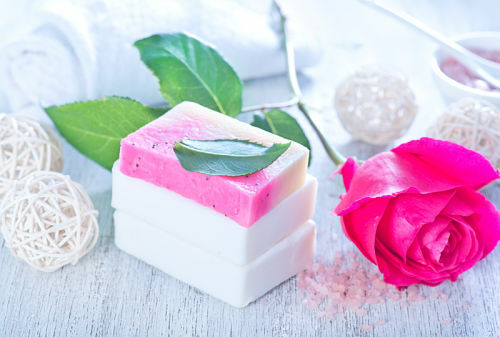 Feel pampered and relaxed before baby arrives! Continue reading "Find New York Babymoons and Romantic Getaways, from NYC to Charming Upstate Locations!" 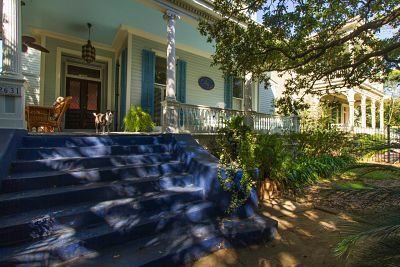 Continue reading "Browse These Louisiana Babymoon Packages for the Perfect Pre-Baby Getaway"
What to pack for a babymoon - a list of the things you'll need and the optional extras that will make your pre-baby vacation extra special. 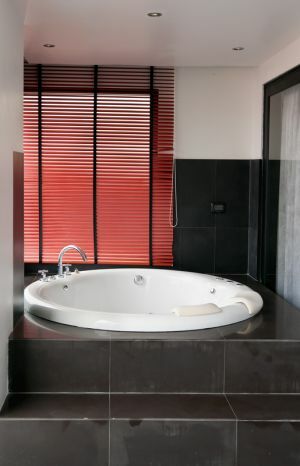 Continue reading "What to Pack for a Babymoon - a List of Everything You'll Need"
Can I Use The Jacuzzi or Hot Tub on my Babymoon? 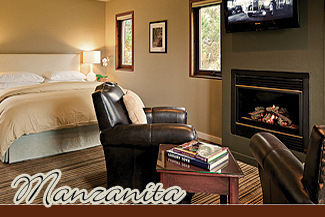 Many hotels and inns offering babymoon breaks advertise a room with a Jacuzzi part of the package. But is it is safe to use a Jacuzzi when pregnant? Most medical resources advise against it – and saunas, hot tubs, whirlpools and steam baths are also on the list of no-nos. The reason is common to all – there is a developmental risk to your unborn baby from a rising core body temperature... heat that you are unable to lose by sweating. The risk is greater during the first 12 weeks of pregnancy – but most professionals agree that it's wise to avoid ALL of these leisure facilities throughout pregnancy. And your baby is not the only one at risk. Those high temperatures can cause YOUR blood pressure to drop and make you feel dizzy, which is dangerous for you both. Yes, because your body is not completely submerged and also because the water cools down (unlike a hot tub, where the temperature is maintained). Of course, the temperature of your bath should be comfortably warm, not scalding hot! Another safe way to relax in the water during pregnancy is to take a dip in the hotel pool. To make you feel truly pampered (the ultimate goal of the babymoon experience), you could also enjoy a wonderful prenatal massage or a foot massage. So it's worth seeing if those options are available when booking your babymoon break. 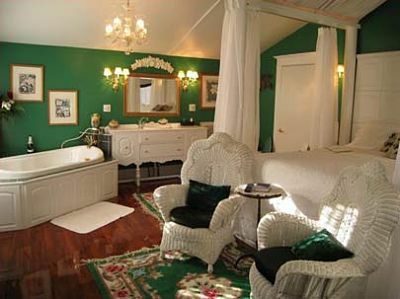 If you're considering a babymoon break in New Hampshire, then check out the gorgeous Snowflake Inn in Jackson Village. Specializing in pre-baby vacations and adult getaways, this romantic and intimate destination promises to pamper you with pre-natal massage and reflexology in your luxurious suite. Continue reading "New: A Luxurious New Hampshire Babymoon Package"
Did you know that you could be entitled to cash compensation when bumped from a flight? This won't apply if the new flight is scheduled to arrive at your destination within an hour of the original one, nor if you've volunteered to take a later flight. Neither will it apply if the reason for the bump is outside the airline's control. But if it's simply that the airline has overbooked and YOU'RE the one suffering for it, then the airline is required to pay up. There ARE conditions and exceptions to be aware of, of course - so please visit the US Department of Transport's Fly-Rights page for all the rules, terms and conditions. UK moms are being advised by the Royal College of Obstetricians and Gynaecologists NOT to fly after 32 weeks if pregnant with twins. Previously, women with multiple pregnancies were told it was safe to fly up to 34 weeks gestation, but International Air Transport Association (IATA) recommendations have always been 32 weeks. The new UK guidelines now tie in with that advice. Guidelines for mums with single pregnancies remain the same – generally up to 36/37 weeks during a healthy pregnancy – but rules do vary from one airline to another. Please visit my Flying When Pregnant page for a much closer look at the rules, plus some handy tips for making flying as comfortable as possible for you and your little bean! 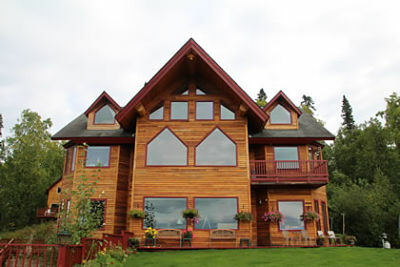 Thinking of a babymoon in Alaska? Discover the most romantic inns and resorts in this stunning location and plan your unique pre-baby getaway. Continue reading "Plan Your Alaska Babymoon!" 6 Perfect Destinations for a Christmas Babymoon! If you're planning on a babymoon getaway during the holiday season, then you're probably hoping to either escape the cold by picking a nice, warm destination... or one in which you can embrace the chilly temperatures and snuggle up in a cozy Christmas setting! 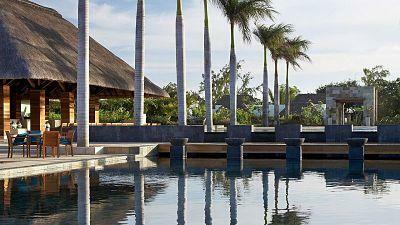 Whichever your preference, here are 6 perfect destinations to choose from. Not too far from the United States, and with exceptionally balmy temperatures year-round, the Bahamas is an ideal destination for a Christmas getaway! If crystal clear waters and powder white sands sound like just what you need, plan your babymoon in the Bahamas now! Stunning scenery, a vibrant culture and relaxing beaches await you on a Mexican babymoon - and there are lots of hotels and inns in Mexico offering romance packages that would be just perfect for your pre-baby getaway. 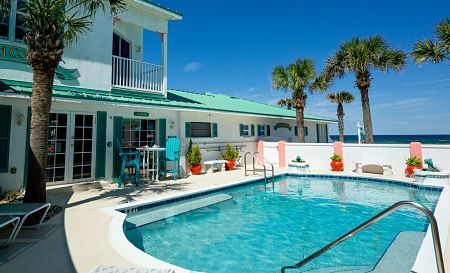 If you're in the US and a trip overseas sounds a little too strenuous, why not book a babymoon vacation in sunny Florida? From the charm of St. Augustine to the glitz of Miami, there's something in Florida for every babymooning couple! 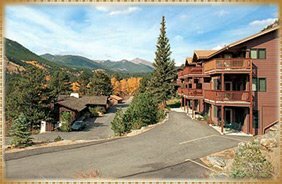 From Victorian houses to cozy log cabins in the mountains, Colorado has it all! The UK makes a wonderful Christmas babymoon destination, where the temperatures provide a truly festive feel for you to enjoy from one of many luxurious settings. Whether you're looking for a city break, or a getaway amid the tranquility of lakes and mountains, you'll find the perfect package in New York at Christmas. Although I've advised it on several pages throughout this site - and wrote an article back in April about it too - it's worth reiterating how VERY important it is to check your insurance policy before booking your babymoon. Many policies don't cover you for pregnancy, pregnancy-related complications, or the birth of your baby if you leave home within nine weeks before or after your due date. This fact was brought rather painfully home to new mommy Jennifer Huculak-Kimmel, who was hit with a $950,000 hospital bill after giving birth prematurely during her Hawaiian babymoon. Please do read her story here - and if you have any concerns as to whether or not YOU are adequately covered, contact your insurance rep via email to clarify your position. This means that you will have something in writing should there be any medical issues whatsoever during your babymoon vacation. You may have chosen NOT to find out the gender of your baby... but it's fun trying to guess! For me, the biggest indicator was food preferences - whenever I was expecting a girl I wanted acidic foods (and paid the price for them in terms of heartburn!) - and when I was pregnant with the boys I craved carbs and fats (not very healthy, I know!). If your face is looking a looking a little fuller, it means you're having a girl (OR that all that eating for two is starting to take its toll!). Low on your stomach means boy, high on the stomach means girl. Some people say you should use your wedding ring suspended from a chain, others say any sort of pendulum is fine. Either way, you are supposed to dangle something over your bump and wait for it to start swaying. Back and forth indicates a boy - round and round means a girl. Is all your baby weight on your front? Then a boy is on his way. If you're expecting a girl, then the weight will be spread more evenly around your middle. Are you particularly enjoying the sour taste of citrus? Then chances are you're expecting a girl (which does actually tie in with my preference for acidic foods when girls were on their way!). Your baby's, that is. A heart rate of less than 140 beats per minute apparently indicates you are expecting a boy - a girl's is higher. If someone asks you to show your hands and you hold them out palms down, you are carrying a... (quick, hold them out before I tell you)... boy! It's palms up for a girl. Take your age when you conceived and add it to the number of the month in which you conceived. If the total is odd, you're having a girl. If it's even, then it's a boy! Then you're having a boy - because carrying a girl is said to leave you with thin, dull looking hair!. Do you swear by any of these signs or have any of your own to share? Please contact me and let me know! In my corner of the world (the Bahamas) mosquitoes are a constant problem. And although its been declared safe for use - even during pregnancy - I've never been a fan of DEET and the products that contain it. One product that's always been something of a lifesaver for those of us in the islands is Avon's "Skin So Soft" which - although not marketed as a bug repellent - works as one very effectively. So I was intrigued to try Avon SKIN-SO-SOFT Bug Guard PLUS IR3535® Insect Repellent Moisturizing Lotion , a product I didn't know existed until recently. 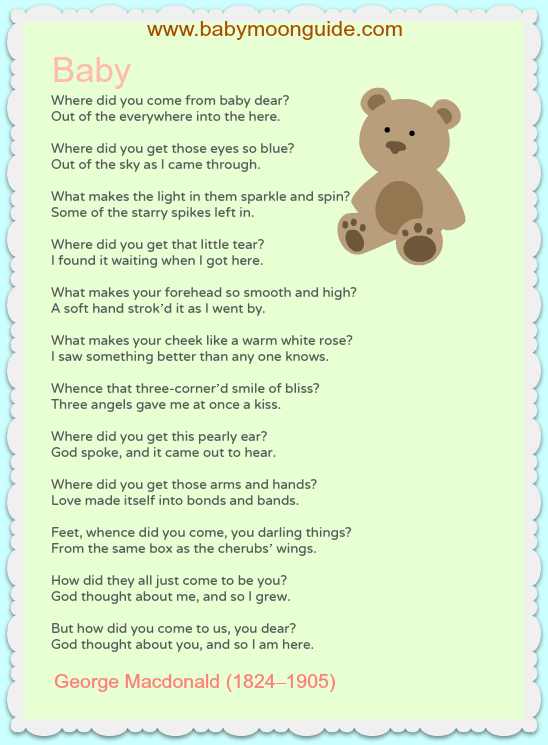 And I had to share it with you here on my blog as I LOVE it, both for myself and my children. DEET free (of course), this lotion is a sunscreen/bug spray combo that you DON'T have to wash off. It doesn't feel greasy and worked well for us, both in protecting us from the sun AND for keeping those pesky mozzies at bay. The ONLY downside we (well, I) discovered is that it stings if it gets into your eyes. I'd used some on my face, then went swimming. Inevitably, the lotion ran into my eyes... which were streaming for the rest of the afternoon. That being said, I've had the same problem with other lotions and really should stick with a sunscreen 'stick' designed for facial use! All in all, this is a great product that I highly recommend if you're trying to stay away from DEET yet stay safe from mosquito bites AND the sun. With each of my pregnancies there's nothing I've enjoyed more than tracking my progress, finding out how my little bean is developing and generally reading as much pregnancy related information as possible! With the advent of some really cool pregnancy apps it's now possible to continue reading WHEREVER you are, plus track all sorts of things in one place and ensure you remain healthy throughout your pregnancy. "This app is good enough that I wake up every morning and read it first thing!". Considered by many to be the "must have" pregnancy-related app, What to Expect allows you to track your pregnancy day by day and see exactly how your little one is developing... and how YOUR body is changing to accommodate his or her progress. With a clear, easy to use interface, this app makes finding the PERFECT name for your new arrival a breeze! You can browse by trends, popularity and origin, or see lists of seasonal names, flower names etc. Just for fun, there's even a button that pulls up random suggestions. Rated #1 by Babble as the "Best app for health and fitness during pregnancy", this is an exercise app AND a pregnancy planner. Broken into 3 workouts modified to meet the needs of each trimester, this app comes from the creators of the award-winning Prenatal Pilates DVD and author of the "Pilates and Pregnancy Workbook". At $9.99 this app is at the pricier end of the market, but if you're serious about keeping as fit and healthy as you can as the big day approaches, then this is the app for you! Which is YOUR favorite app for pregnancy? A babymoon in the sun can be relaxing, but if the temperatures really start to soar then the heat can begin to take its toll, leaving you feeling lethargic and uncomfortable. 1. Don't wear tight clothing. OK, so everything's getting a bit tight now and you're very likely wearing maternity clothes, but even they can sometimes be uncomfortably restrictive in the heat. Look for loose dresses made of cool, natural fabric (cotton is ideal). 2. Drink lots of water... 8 to 10 glasses at the very minimum, but likely more in very hot conditions. I've never been a fan of plain water, but always managed to make it more appealing and enjoyable by adding a couple of slices of fresh lemon. 3. Eat little and often. Useful advice at any time, this leads to an efficient metabolism that doesn't push your body too hard all at once. 4. Visit your hairdresser... either for a shorter hairstyle, or to learn some techniques for keeping hair lifted from your face and neck. A simple head band can make all the difference in very humid weather. 5. Treat yourself to a Misting Fan which accommodates ice, so you can cool off quickly and easily wherever you are. Which sunscreens are safe for use during pregnancy? What is the safest sunscreen during pregnancy? Find out which two brands are recommended and why. Continue reading "Sunscreen During Pregnancy - the Two Best Brands to Use"
Last week a mother in Perth, Australia, told the media about her "nightmare" experience with her babymoon in Bali - an experience that serves as a reminder to check your insurance when booking your own babymoon break, particularly if traveling internationally. Melissa Bain - enjoying a normal pregnancy with her second child - had just touched down in Bali at the start of her week long babymoon when she unexpectedly went into labour... 2 months prematurely! She was immediately taken to an international hospital in which she gave birth 10 minutes later, but her baby then had to be transferred because the hospital did not have an incubator. According to the report, the private hospital he was then taken to had state-of-the-art equipment available - but staff did not really know how to use it. Fortunately, Melissa's story ended well, and she and baby Cooper were flown back to Australia by a crew chartered from Singapore. Luckily, the flight WAS covered by insurance. Does your insurance cover both you AND your baby if your baby should happen to be born early? 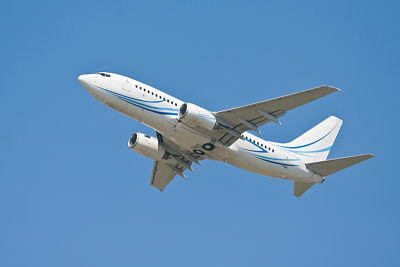 Are you covered for an emergency evacuation(an emergency medical flight can be extremely expensive)? How will your baby's citizenship be affected if he/she is born at your babymoon destination? 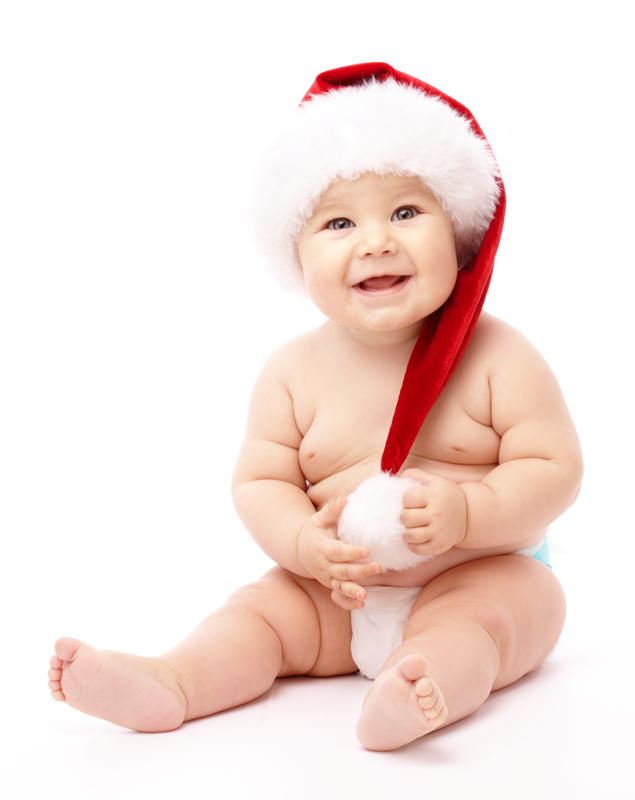 (Remember, too, that your baby will need some form of passport documentation to return home if born overseas). Find Oklahoma Babymoon Getaways and Romantic Breaks! Find an Oklahoma babymoon and plan your pre-baby vacation, giving you a chance to rest, relax and reconnect before two becomes three. Continue reading "Find Oklahoma Babymoon Getaways and Romantic Breaks!" Valentine's Day is approaching, so it's the perfect time to think about planning your babymoon! A Valentine's Day babymoon is doubly romantic and even establishments that don't offer traditional babymoon packages have romance on their minds, with many offering breaks with special appeal for couples! 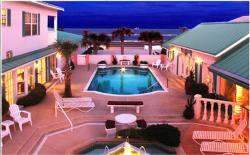 The Island Cottage Oceanfront Boutique Inn and Spa in Flagler Beach, Florida, was voted one of the "Top 10 most Romantic Inns in the World" in 2013. 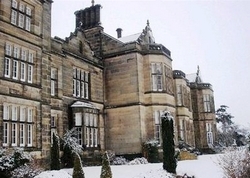 It also offers a fabulous babymoon package, just right for an escape from the winter chill! 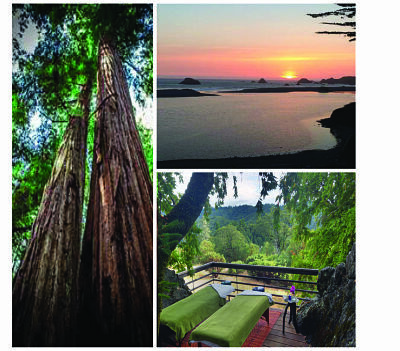 Described as Mendocino's most romantic Bed and Breakfast inn, the Brewery Gulch Inn in California is beautifully constructed from eco-salvaged redwood logs. 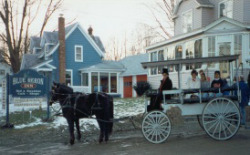 Edward Harris House Bed and Breakfast Inn in New York was awarded The American Historic Inns "2009 Top 10 Most Romantic Inns" award. 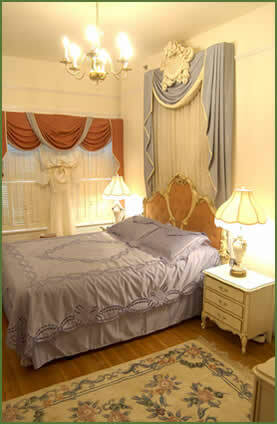 It offers a traditional babymoon package with all the frills! 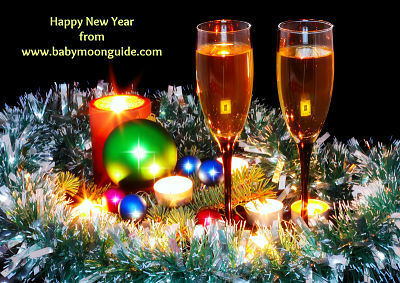 As you await the arrival of your new addition, here at Babymoonguide we'd like to wish you a very happy and healthy New Year. 1. An E-reader - there's nothing more relaxing than settling down with a good book, and on your babymoon you should have plenty of time to indulge. But you don't want to be carrying heavy books to the beach... and an e-reader means you won't have to! 2. Safe Sunscreen - it's more important to protect your skin during pregnancy than at any other time. When you're pregnant your skin is particularly sensitive, making it more liable to burn or for darker pigmentation to develop. 4. i-Pod - enjoy your favorite music as you relax, or perhaps listen to an audio version of your favorite book... something that's not always easy to do amid the hustle and bustle of day-to-day life. 4. Flip flops - you may find your feet swell in the heat, so be sure to pack these, the ultimate in comfy footwear! 5. Personal Mister - a quick and easy way to cool down! Every mommy-to-be should have one of these, whether they're planning to spend time on the beach or anywhere even moderately warm! If you'll be flying to your babymoon destination, don't forget to check out our Guide to Flying When Pregnant for some invaluable tips! Will You DARE To Travel With Your Baby? One of the main objectives of a babymoon break is to really take advantage of your last opportunity for a while to vacation as a couple, with just your own needs to worry about! But is traveling with a baby going to be THAT difficult? Well, it doesn't have to be - the key is knowing all the potential problems and pitfalls ahead of time, and preparing for them accordingly! That's why we highly recommend The Travel Mamas' Guide. It enables you to take advantage of the experience of other parents who've already "been there and done it". With tips for everything from feeding on-the-go to the best places for optimal sleep, this is a "must have" guide you'll refer to often! The Travel Mamas' Guide: How to vacation with babies and children...and stay sane! Continue reading "Tennessee Babymoon Packages"
Continue reading "Maternity Bathing Suits That FEEL Comfortable and LOOK Great!" Flying When Pregnant - Everything You Need to Know! Flying when pregnant - all your questions answered, plus tried and tested tips for a comfortable flight. 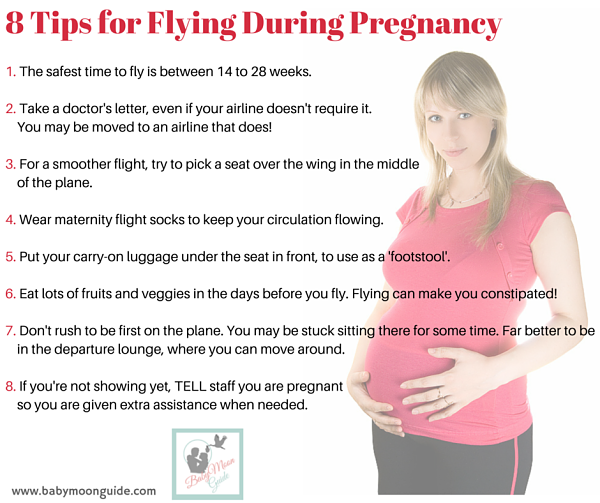 Continue reading "Flying When Pregnant - Everything You Need to Know!" If you'd like to enjoy your 'last hurrah' at a far-flung destination, then you might want to consider a luxurious babymoon at the Four Seasons Resort in Anahita, Mauritius. Described as 'having inspired heaven', Mauritius is a lush African coastal island, boasting crystal clear waters and stunning mountains blanketed with vegetation. You and your partner can absorb the beauty of the coral islets and the blue lagoons from the comfort of this high-end resort, renowned for its spectacular cuisine, sumptuous accommodations and full-service spa. The resort has recently introduced dedicated massages for expectant moms and is now offering a Pregnancy Relaxation Massage (which you can enjoy for either 60 or 90 blissful minutes) - or a Pregnancy Body Balancing Massage... a full 2 hours of pampering designed to release tension and stabilize posture. You can take advantage of these treatments if you're in your 2nd or 3rd trimester. During your 1st trimester, your spa options at the resort include an extensive range of manicures, pedicures, renewing facials or the newly launched relaxing Vashaily Experience. The resort's chefs are happy to cater to your dietary requirements during your stay... completing your babymoon experience in one of the most romantic settings in the world! Are you looking for peace and tranquility on your babymoon... a place that makes you feel as if you're truly 'getting away from it all'? 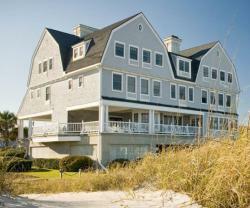 Then consider Amelia Island, located on the northeasternmost tip of Florida. Amelia Island's year-round pleasant temperatures - ranging from a comfortable 64 degrees in January to a peak of around 90 degrees in July and August - are just one of the many attractions this babymoon destination has to offer. The area is rich in history, best explored from the Amelia Island Museum of History, located in the heart of town. The stunning beaches stretch for 13 miles, offering you plenty of opportunity to delight not only in the gorgeous weather, but also in the outstanding beauty of the area, the pristine waters and the abundance of native wildlife. Find a Florida Babymoon Package for the Perfect Pre-Baby Getaway! Easily find your dream Florida babymoon package - we list pre-baby getaways across Florida, including Miami, Amelia Island and romantic St. Augustine. 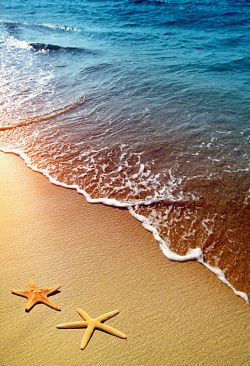 Continue reading "Find a Florida Babymoon Package for the Perfect Pre-Baby Getaway!" Browse our list of babymoon destinations and start planning your perfect pre-baby vacation. Continue reading "Babymoon Destinations - Start Planning Your Perfect Babymoon Getaway"
Ten babymoon ideas, with everything from beach breaks and romantic inns to budget-friendly babymoons at home! Continue reading "Blissful Babymoon Ideas - 10 Ways to Spend Your Pre-Baby Vacation"
Continue reading "Portland Pregnancy Massage and Prenatal Spa Treatments"
Continue reading "Babymoon 101 and Babymoon Ideas"
Your source for the best California babymoon pre-baby vacation packages. Continue reading "California Babymoon Packages"
Continue reading "Tips for Travel During Pregnancy"
Continue reading "Las Vegas Nevada Babymoon Packages"
Continue reading "Babymoon travel planning for the best babymoon"
Learn about the latest travel trend - the babymoon vacation! Pre-baby getaways for parents-to-be. Continue reading "Babymoon Vacations in the News"
Continue reading "Frequently Asked Questions About Babymoons"
Continue reading "Advertise With Us"
Continue reading "Babymoon Vacations for Adoptive Parents-to-be"
Continue reading "Babymoonguide.com About Us"
Continue reading "Spain Babymoon Packages"